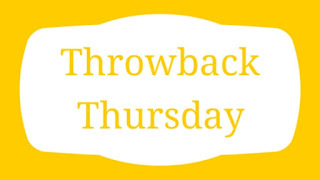 In which I share vague recollections of books I read long ago that have stuck with me. 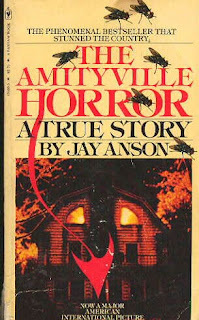 One of the books I read over and over again in high school was Jay Anson's allegedly-true ghost story, The Amityville Horror. This cover on the left is the edition that I read, complete with flies. In fact, there were illustrations of flies throughout the book at the beginning of each chapter. It was thrilling and disgusting at the same time. Whether true or not, it was terrifying to read and I savored every bit of it as the Lutz family encountered strange sounds and smells and had nightmares and experienced all sorts of increasingly creepy phenomena. I don't remember whether or not I actually believed that it was true, but I'm sure that I wanted to believe it. I cannot explain why, but when I was a kid I really wanted things like ghosts and haunted houses to be real. It is also true that I had nightmares and frequently woke up in the middle of the night and had to walk around the house in the dark to check and make sure that everything was ok and it wasn't on fire or anything. So really, I just tortured myself for reasons that elude me now. Years later my mother's house, the very old house that I grew up in, became mysteriously infested with flies. All year round, just like the Amityville house. It was pretty gross to be sure, but man, having read The Amityville Horror so many times, it was also downright creepy.